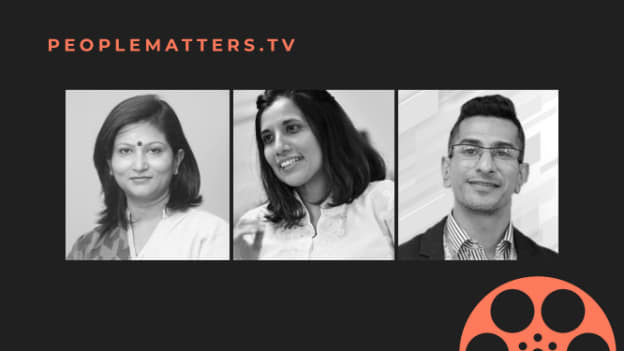 As recruiters move to social media to breathe in the same air as millennials and GenZs, HR leaders’ campus hiring strategies undergo some major changes, according to panelists on this week’s PeopleMatters TV episode. Millennials and GenZs are a force to recognize with in the workforce--especially as we come one day closer to 2019. Campus hiring strategies thus need to transform to match the new generation’s expectations, aspirations and dreams. Panelists on PeopleMatters TV included Ashish Ashdhir, Group Head--Global Talent Acquisition, AirAsia, Zahira Sughra Zainuddin, Head, Senior Vice-President’s Office, Group Human Resources Management, PETRONAS and Ruchira Bhardwaja, CHRO, Future Generali India Life Insurance who discussed used sourcing channels, ways to tap into great millennial talent and brainstormed on methods to keep the younger generation engaged in the workplace. In this age of hyperconnectivity, HR leaders must reach potential hires where they live and breathe. Millennials and GenZs are plugged into various social networking platforms. They not only interact with their friends there but also use these platforms to actively look for gainful employment. An Instagram-savvy brand is a Gen-Z friendly workplace. Just within the last year, Ashdhir said, AirAsia employed about 1000 interns who were from the millennial and GenZ generations. Accelerated training programs designed to directly meet the skills’ demand in organizations is a crucial sourcing channel of recruitment. For example, developing full stack developers instead of traditional Computer Science engineers is one way of streamlining the campus hiring process to onboard exceptional talent from the millennial generation, Ashdhir added. Several organizations choose to hire fresh talent directly from universities. Some like Petronas, said Zainuddin, sponsor scholars who get additional training in the skills needed by the organization. When industry-specific knowledge is crucial for any role in the organization, for example, in the insurance sector, HR leaders like Bharadwaja choose to select candidates when they are young and train them immediately. “We prefer to catch them young and train them in the nuances of insurance. We also provide them certification courses so that when they are hired, they can hit the ground running from day one,” said Bhardwaja. Contrary to the widespread belief that young people only value their screens, when it comes to choosing their workplaces, even GenZs and millennials value face-to-face interactions. This means that if companies want to continue appealing to the younger generations, they need to strike a balance between reaching out to potential employees digitally and in-person. A phygital approach is the way forward to appeal to new talent, the panelists agreed. While using innovative sourcing channels to acquire better talent is vital to companies, the way to appeal to the younger generation is not only through better ads and being social media savvy. Making sure that the social media persona matches the company profile helps instill a trust in the brand among millennials. Millennials and GenZs prefer to work at an organization that is approachable and accessible. However, they also opt for those companies that have a meaningful impact on the society. Keeping these psychological aspects in mind, HR leaders can position their organizations as transparent, truthful and a place that provides opportunity for growth. Apart from partnering with universities, AirAsia offers office tours in both Malaysia and Thailand, so that students can understand the way aviation industry is changing, Ashdhir said. They get a better idea about the company’s operations and understand the journey of digital transformation as it unfolds. Field trips such as these help the company in not only connecting with potential recruits but also in building a long-term pipeline of better talent. “A lot of our talent is young--whether it is the cabin crew or whether it is our engineering team,” Ashdhir said. Accessibility is of essence in this new way of devising hiring strategies, according to Bhardwaja. In an increasingly connected world, there might be many people who are trying to reach out and wanting to work in the organization and HR leaders need to keep those communication channels open. Creating an environment geared towards learning and development is a major way to keep the millennial workforce engaged. Bharadwaja added that the GenZs and millennials expect a fast-learning environment as compared to the previous generations. Keeping the younger workforce engaged is possible when HR leaders hire them for a particular job role. The need of the hour is for employees to become agile and develop multiple skills, Zainuddin said. And the younger generation in the workforce will commit to agility if they start seeing the value that they add to their work, their team and the organization as a whole. Most millennials are looking for something more than a 9 to 5 job--some want to drive for Uber on the side, some might want to carve out time for music. HR leaders today need to transform their hiring strategies to acquire the right talent from the newer generations keeping in mind their expectations of meaningful work and flexibility.